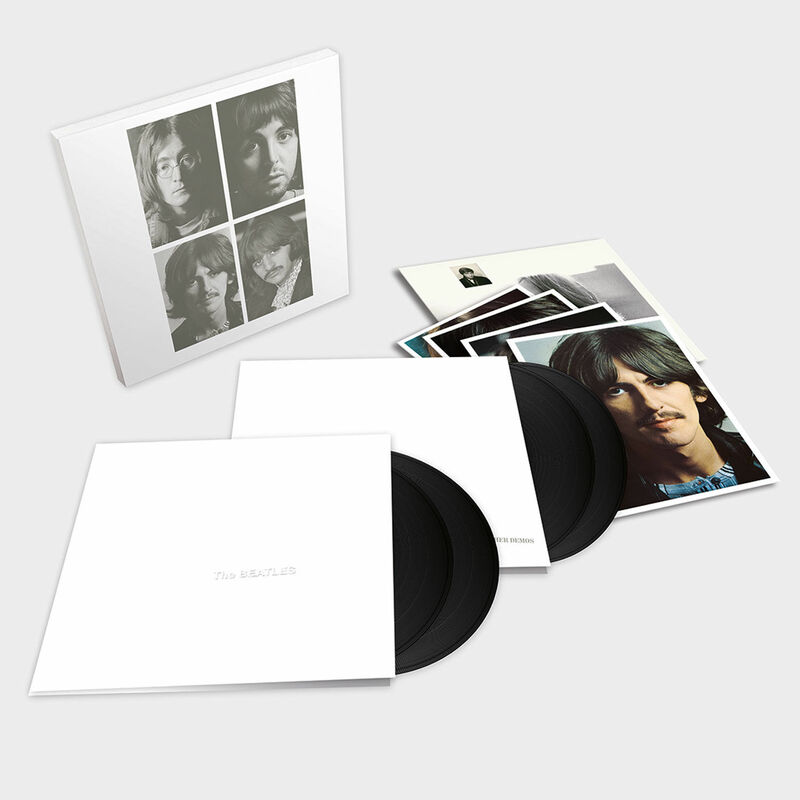 The Beatles present for the first time the White Album (via Capitol), that has been remixed and published with additional demo recordings. Giles Martin and Sam Okell had created the stereo mixes in this edition and worked with an expert team of engineers at Abbey Road Studios in London. This edition is presented in 4LP Deluxe vinyl version and will include session tapes. The White Album, is the ninth studio album by the English rock band the Beatles, released on 22 November 1968. A double album, its plain white sleeve has no graphics or text other than the band’s name embossed, which was intended as a direct contrast to the vivid cover artwork of the band’s previous LP Sgt. Pepper’s Lonely Hearts Club Band. Although no singles were issued from The Beatles in Britain and the United States, the songs Hey Jude and Revolution originated from the same recording sessions and were issued on a single in August 1968. The album’s songs range in style from British blues and ska to tracks influenced by Chuck Berry and by Karlheinz Stockhausen.